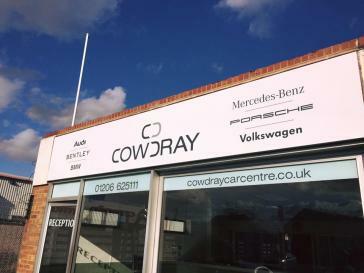 As specialists in Bentley, Porsche, Rolls Royce, Mercedes, BMW and Audi, Cowdray Car Centre is the place to call to keep your vehicles at their very best. And with over 25 years experience, you can rest assured that your vehicle is in safe hands. Our specialist team are dedicated to repairing, servicing and overhauling Performance and Prestigious vehicles. We work with clients across East Anglia and Internationally to provide reliable expertise and dependable workmanship. Cowdray Car Centre also offers high quality car services for Bentley and Rolls Royce motor vehicles. Our professionally trained mechanics are here to reassure you that your vehicle receives the best high quality care that it deserves. Our highly skilled and experienced team of engineers are experts at working with exotic cars of all makes and models. We have been providing an unrivalled repair and maintenance service for over 25 years and in that time we've built a fantastic reputation. We have a large loyal customer base who use us time and again to take care of their Pride & Joy. We are proud to receive a huge number of recommendations and referrals from satisfied clients. Call us today to see how we could help. Whatever the make and model of your car, from a new Bentley to a classic Porsche, we have the tools and experience you need. We're passionate about our cars and we understand how much care and attention our clients lavish upon them. We aim not only to meet this level of care but to exceed it.